Defence Photography Ltd. Specialist photography and video for the global defence and security community. 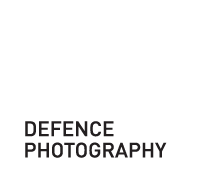 Defence Photography specialise in capturing unique, eye catching images for the Land, Air, Sea and Security sectors. "By drawing upon our 30 years first-hand experience and in-depth knowledge of defence technology, we have fast established a solid reputation within the global security and defence community". Recent photographs for clients have been published by the UK MoD, major international defence companies and global defence media. Our main aim for clients is to create images that have a strong defence or security narrative and impact. We always try to think outside of the box to capture a subject from a unique viewpoint or perspective. Defence Photography are available for projects throughout the world. We do not operate in areas of conflict. Based in the UK, we work on a variety of projects both nationally and worldwide. We operate in the Land, Air, Sea and Security sectors for Industrial Prime Contractors, SMEs, Government departments and for stakeholders such as Trade Promotion Bodies and Media Organisations in Defence and Security. "...Defence Photography knows the needs of the defence world and how to go about getting the right shots without micro management."